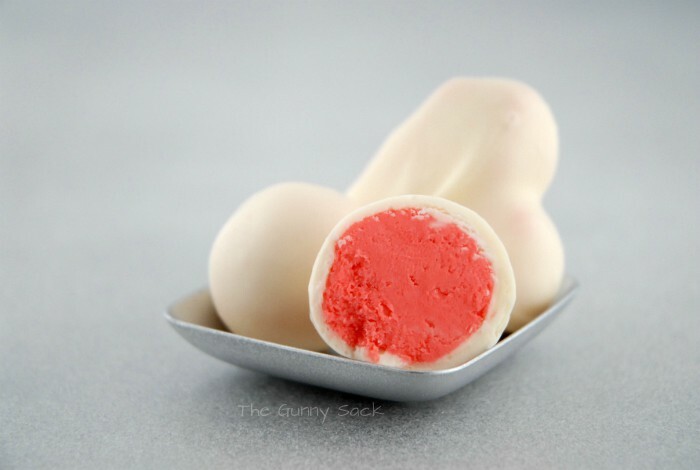 This two ingredient recipe for White Chocolate Fudge Truffles has pink vanilla fudge on the inside and a white chocolate shell on the outside! 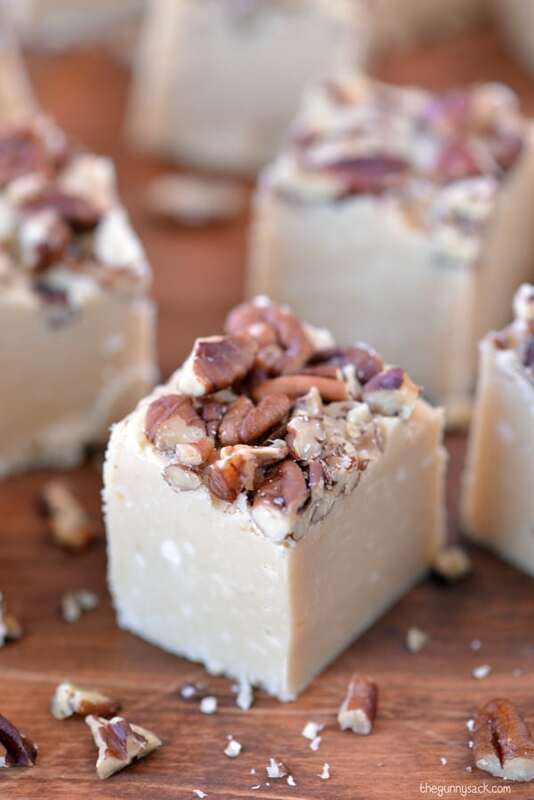 I got the recipe for two ingredient fudge from Cookies and Cups. Although I’ve made cake pops and cake balls many times, I don’t think I’ve ever made truffles before which is strange because they are one of my favorite things! 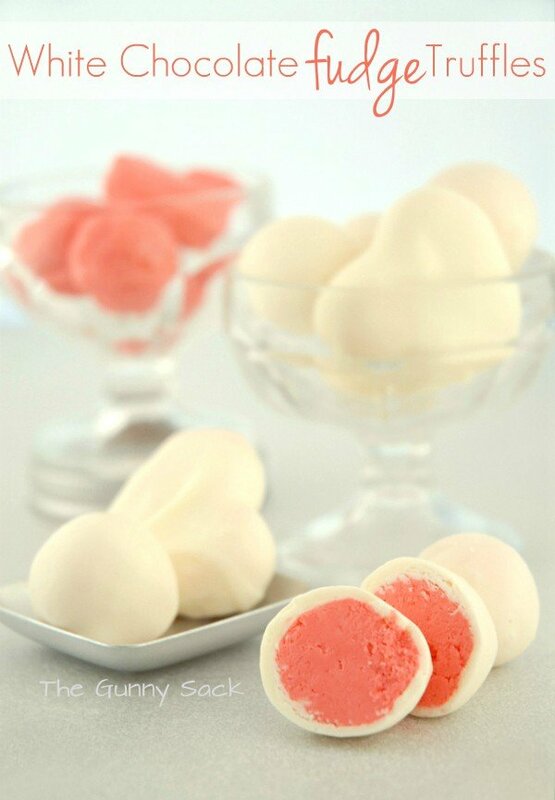 These pink treats are great for Valentine’s Day and now that I know how to make fudge truffles, I am excited to make a milk chocolate version soon! 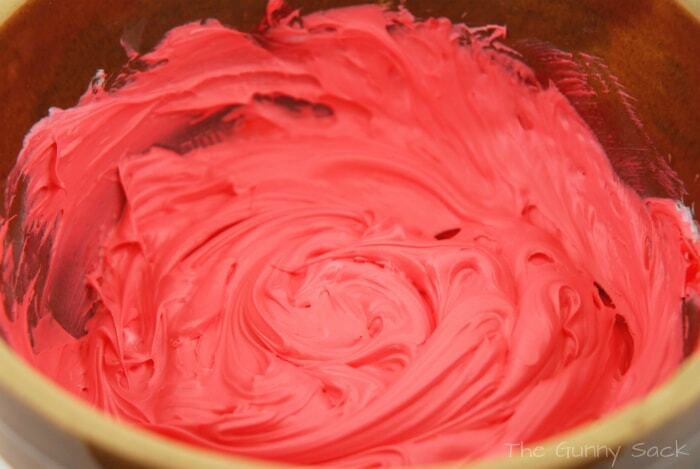 Put one container of pink frosting into a bowl and stir until smooth. I purchased my ingredients from a small local grocery store and they did not sell pink frosting. 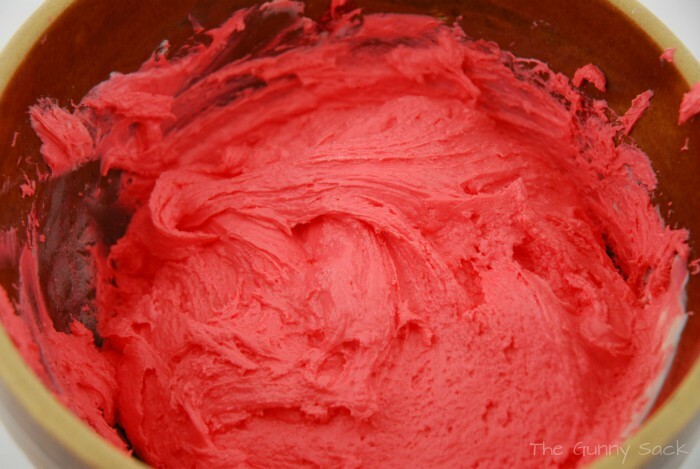 So, I used one container of vanilla frosting and mixed in a few drops of red food coloring to turn the frosting pink. Melt two cups of white chocolate chips (one 12-ounce bag) in the microwave and add it to the frosting. Stir until combined. It comes together quickly and it will look something like this. Scrape the mixture into a foil-lined, greased pan and allow it to cool in the fridge until firm. Use a small heart-shaped cookie cutter to cut out some heart shaped fudge pieces. To make balls, cut small squares of the fudge and roll it into balls with your hands. Place the fudge hearts and balls on a pan in the freezer to harden for about 30 minutes. Melt 1 cup of white chocolate chips in a bowl. Dip the hardened fudge pieces into the melted chocolate. 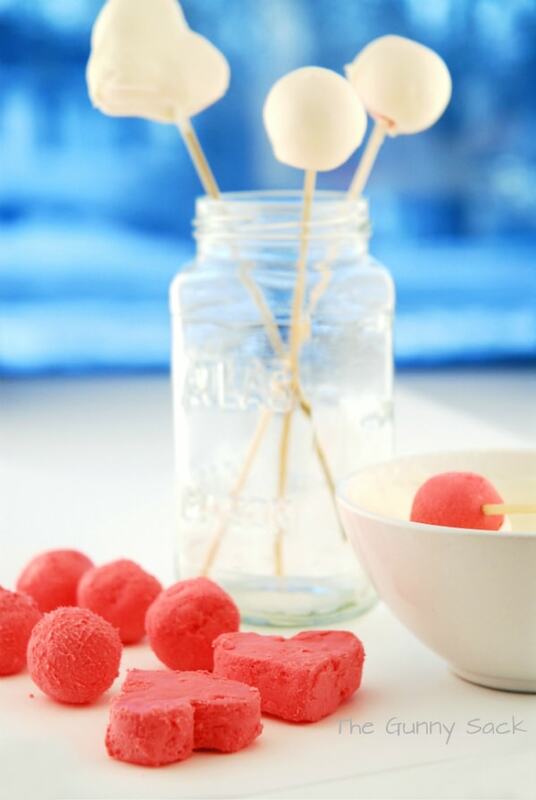 I inserted wooden skewers into the fudge to make the dipping easier. I stood the skewers up in a mason jar to allow the chocolate to harden. Then, I removed the skewer and added a dab of melted white chocolate to the hole where the skewer had been. Melt more white chocolate chips as needed. Smooth and creamy on the inside with a rich chocolate shell on the outside! 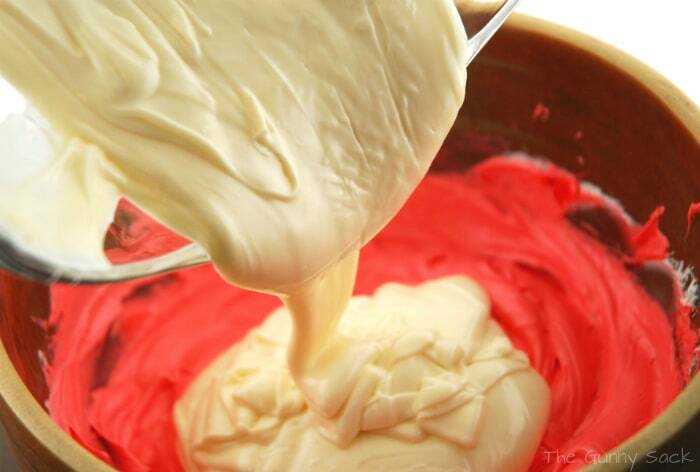 Melt two cups white chocolate chips in the microwave, add it to the frosting and stir until combined. Spread in a greased, foil-lined pan and cool in the fridge until firm. Melt 1 cup of white chocolate chips in a bowl. Dip the hardened fudge pieces into the melted chocolate. Melt more chocolate as needed. Do you have to store these in the refrigerator after they are done and dipped or can you leave them in an air tight container? I added 2 and a half teaspoons of peppermint extract to the icing and chocolate mix and then after dipping in the white chocolate I rolled some balls in sprinkles and some in hot chocolate powder for Christmas treats and it’s amazing! These look fantastic, will be making them for a charity fundraiser this week! How many truffles does it make? Hi Nicole! Thanks so much. The number of truffles depends on how big you make them so unfortunately I don’t have a number for you. Best of luck with the fundraiser! Those are so pretty and I love how easy they are!!! Thanks Jocelyn! I love easy recipes! This looks so yummy…and Easy! Those are amazing! Pinned. Hope to see you at True Aim! Thanks for the pin and for stopping by! This is genius Tonia! 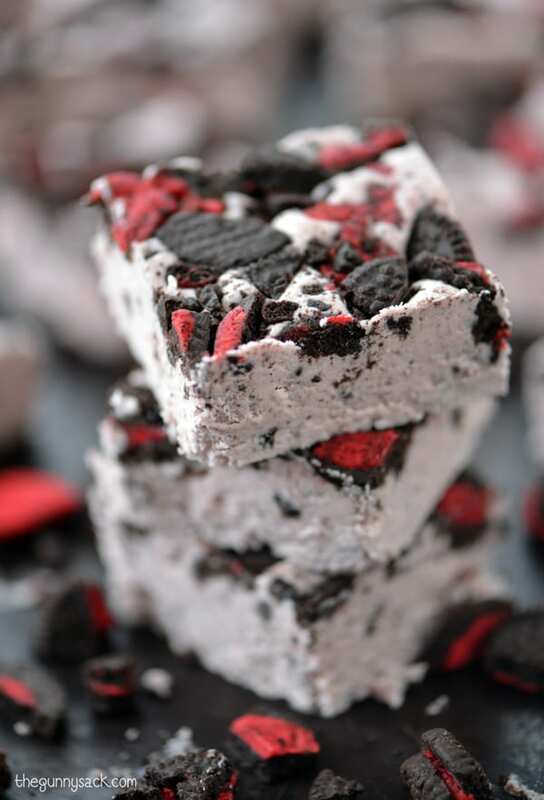 I love the two-ingredient fudge, and to turn it into truffles? Perfect! First of all, your pictures are beautiful! You amaze me! 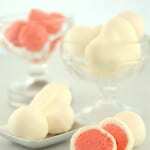 And second, these little truffles look so delicious–and adorable! What a fun treat! Thanks for sharing with us! Thanks Linds! You are a sweetheart! Love how you made some of them heart-shaped! Mmmm….now I am not much of a regular chocolate fan but white chocolate is a different story! That first photo is sooo beautiful too! GREAT idea! And as always you have the loveliest photos. Thanks Jane! I love taking pictures!